Verizon Wireless gives $7,500 gift to support health, wellness outreach programs. 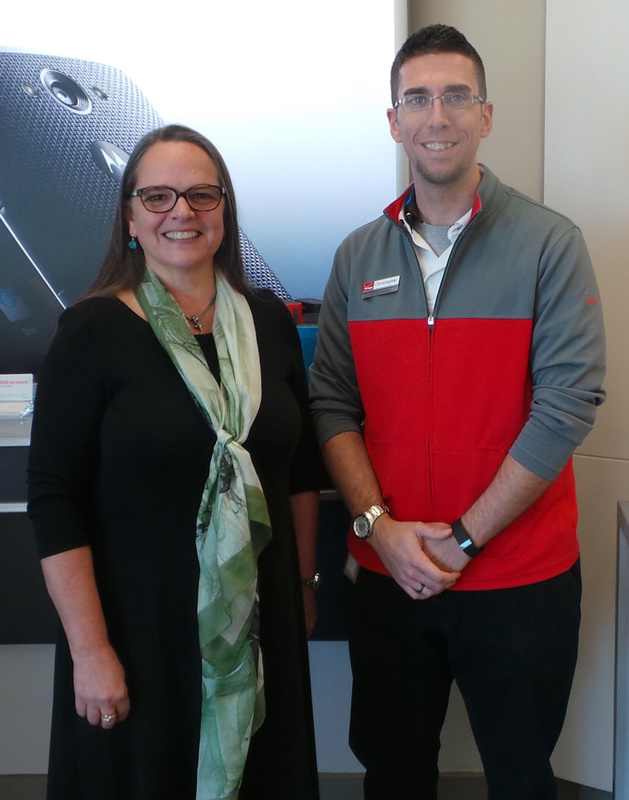 Verizon Wireless recently presented a $7,500 HopeLine grant to the Maine Coalition to End Domestic Violencetoe used to support its health and wellness outreach programs, according to a news release from the coalition. “October is Domestic Violence Awareness Month, and donating a no-longer used cell phone through Verizon’s HopeLine program is an easy and effective way to support domestic violence agencies right here in Maine. Thanks to the phones and accessories that members of the community have donated to HopeLine over the years, Verizon is able to award HopeLine grants to local agency partners who are working hard to raise awareness of this important issue, and ultimately put an end to domestic violence,” said Michael Murphy, public relations manager for Verizon Wireless in New England, in the release. The Maine coalition is comprised of eight domestic violence resource centers statewide: Caring Unlimited, Family Crisis Services, Family Violence Project, Hope and Justice Project, New Hope for Women, Safe Voices, Next Step, and Spruce Run-Womancare Alliance. The coalition works closely with its member organizations and community partners to increase safety for anyone impacted by domestic violence. This donation was presented at the Verizon Wireless Store located at 930 Stillwater Avenue in Bangor. Verizon Wireless’ HopeLine® program puts the nation’s most reliable wireless network to work in communities by turning no-longer-used wireless phones into support for survivors of domestic violence. Verizon Wireless collects no-longer used cell phones, batteries and accessories in any condition and from any service provider, at its Communications Stores nationwide. Phones that can be refurbished are sold, while those that cannot are disposed of in an environmentally friendly way. Both outcomes generate proceeds for the program, which are used to provide grants and new HopeLine phones — complete with 3,000 minutes of free wireless service — to local shelters and nonprofit organizations that focus on domestic violence prevention and awareness.